For the first time in Ecuadorian history, the football team is the South American U-20 Champion after incredible performances on the pitch. The team can now look forward to competing at the Lima 2019 Pan American Games in July. The CONMEBOL South American U-20 Championship in Rancagua, Chile was unlike any previous U-20 Championship in history. Surprises were seen throughout the tournament, with host nation Chile not performing as expected and suffering elimination in the first round, Brazil failing to qualify for the Poland 2019 U-20 FIFA World Cup, and for the first time ever, Ecuador being crowned U-20 South American Champion. The Ecuadorian team delivered a series of outstanding feats during the Group Stage. They beat Paraguay 3-0 in the first match, and despite a loss of 1-3 to Uruguay, they came back to defeat Argentina 1-0 and then finished off group play by beating Peru 3-1. In the final round, Ecuador won three of its five matches, defeating Argentina (2-1), Venezuela (3-0) and Colombia (1-0), while also tying with Brazil (0-0) and losing to Uruguay yet again (1-2). Despite two losses to Uruguay, the six victories were enough for the footballers from Ecuador to become Champions. 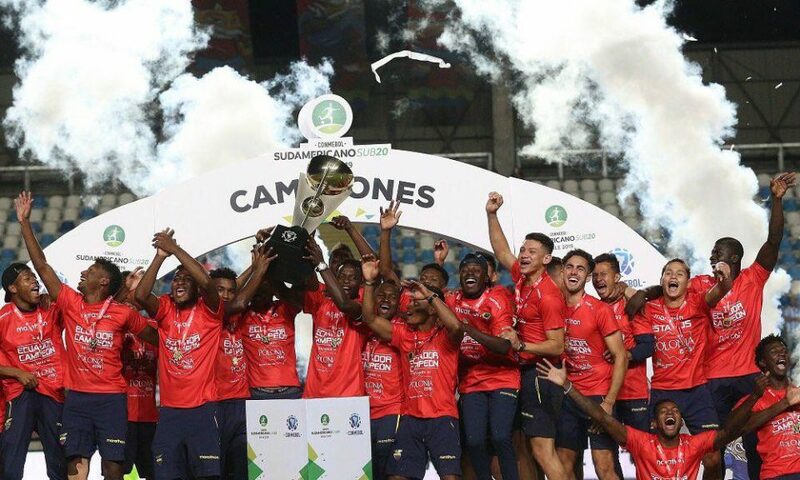 This South American title also carries extra significance, qualifying Ecuador for both the Lima 2019 Pan American Games this July and the Poland 2019 U-20 FIFA World Cup in May. “I am very happy with what we have accomplished. The team is playing how I like it to. The individual talent of each of these guys is fundamental. We have four or five guys that can throw you off balance at any given moment. We have played against a great generation of athletes and we have earned the right to call ourselves champions,” said Ecuador’s Coach, Jorge Celico of Argentina. Along with Ecuador, two other teams at the CONMEBOL U-20 Championship earned their spots at the Lima 2019 Pan Am Games. Argentina and Uruguay finished second and third at the Chile 2019 U-20 South American Championship and will send teams to compete in the Peruvian capital as well. These three teams will join a team from the Host Nation of Peru — as well as the teams that qualified at the CONCACAF U-20 Championship including Jamaica, Panama and the United States — in the men’s football tournament at the Lima 2019 Pan Am Games. The final team will be determined by CONCACAF in April. The Lima 2019 tournament for the world’s beautiful game will be held between July 29 and August 10, with the Gold Medal Matches kicking off at San Marcos Stadium on August 10.